CHECK OUT OUR NEW SPONSORS PAGE! SUPPORT THE BUSINESSES THAT SUPPORT SHANAHAN! Who do you know who wants to be part of the Shanahan Community? Local businesses have great opportunities to reach out to our Shanahan Community and Alumni by being part of our Turf Stadium. Contact the Advancement Department with any questions. 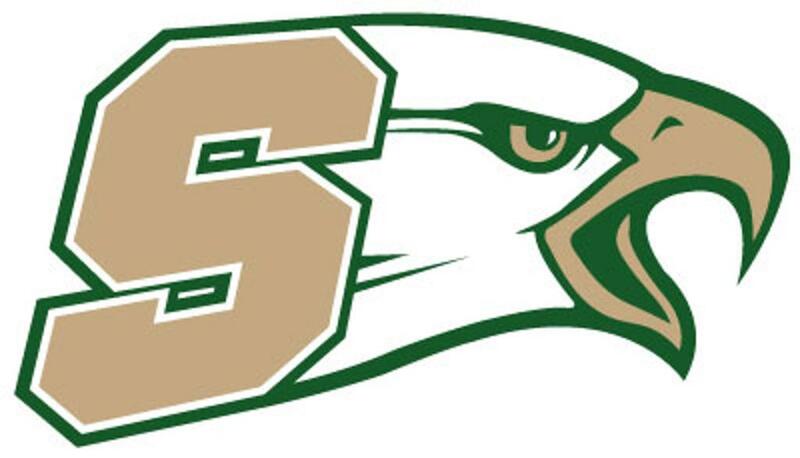 Welcome to the Athletic Program of the Shanahan Eagles! Shanahan Athletes pursue their goals to improve their athletic ability, work together as a team, support their fellow athletes and strive in an unselfish way to make the team successful. Our Faith is entwined into every team and every event. We are there for each other and there to represent Christ in everything we do as a team. Our Student-Athletes and Coaches work hard all year round to reach their full potential, support their fellow athletes, push each other to improve and represent Shanahan as a school who is committed to fulfilling the goals and dreams of our athletes. EXCELLENCE - Our Athletes and Coaches and Athletic Department strive to provide a rigorous athletic program to compliment the high level academic excellence of Shanahan. We have an environment that provides a healthy and challenging level of competition that pushes our Athletes to work together, achieve higher levels of performance every season and be there for each other. We are committed to EXCELLENCE at all levels. ATHLETICISM - Every Athlete has the potential to contribute to the Team! Freshman to Seniors all have a responsibility to do their best, work to improve and make a difference. Shanahan Athletes understand that your effort, attitude and support of your fellow athletes will contribute to the success of Shanahan Athletics. GOALS - Shanahan Athletics works to provide the resources, support, facilities to help our Athletes reach their Goals. Our Athletes are multi-sport and work to be successful and achieve their personal Goals as well as the Goals of the Team. LEADERSHIP - Leadership is a way of thinking, acting and a way of communicating. It is about inspiring action among those around you. Leadership is exemplified by the way we support each other, the way we practice, the way we play and by being there for our fellow teammates. EFFORT - Effort can be defined as that total exhaustion of mind and body to compete and win. At Shanahan our effort level inspires others to put their heart and their muscle into being the best that we can be. SUCCESS - The Success of our athletes is not in the Win and Loss column. Success comes from the teamwork, improving every day, making each other better every day and playing like a champion! Our Athletes see the bigger picture of improving, being a good teammate and knowing that the team is greater than the individual. Proud to be a Shanahan Eagle! The role of our Athletics Program is designed to produce a well-balanced Student Athlete who is not only successful in the classroom, but who is also capable of developing their athletic ability, learning to be a good teammate and contributing to something bigger than themselves. GO TO OUR SPONSORSHIP PAGE FOR MORE! Interested in becoming a sponsor of Bishop Shanahan High School Athletics? Whitford Insurance Network is an Independent insurance agency located in Exton Pennsylvania. Providing Pennsylvania, New Jersey, Delaware, and Maryland with Auto, Business, Homeowners, Wedding, Health, and Life insurance. ©2019 Bishop Shanahan High School Athletics / SportsEngine. All Rights Reserved.